Bíldudalur: Sea monsters and sculptures at the edge of the world. 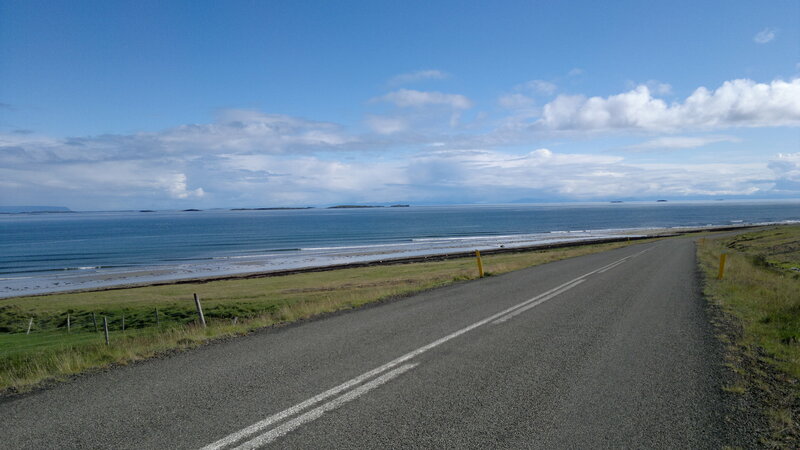 As regular readers of our Travel suggestions blog may have noticed, we at Iceland Mini Campers have a special fondness for the Western part of Iceland. We have already talked about Snæfellsnes (see Snæfellsnes, parts 1 and 2) as well as the area around Drangsnes (see here) but we still feel that these regions–their history, culture and scenery–could supply the material for at least a hundred blog posts. 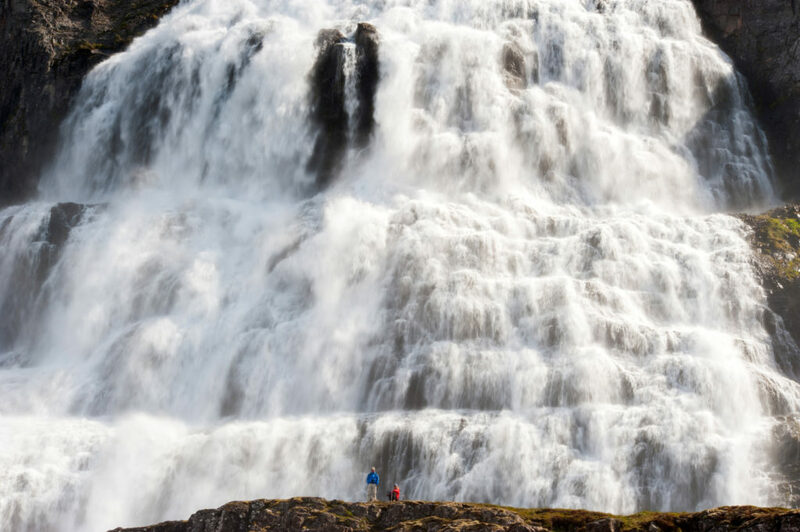 Be that as it may, now we want to discuss a place that might well serve to combine a trip to Snæfellsnes and from there on to the Western fjords, a journey that’s absolutely tailor made for the mini camper traveler. From Reykjavík there are two possible routes to Bíldudalur. One is just a straight drive which takes around 5 hours, the other is driving to Stykkishólmur on the Snæfellsnes peninsula and taking the ferry Baldur (see here: http://seatours.is/ferry-baldur) which accommodates camper vans at an affordable price. From Stykkishólmur the ferry sails to Brjánslækur, which is only an hour away from Bíldudalur. We would recommend this option since that way your motor home journey can be combined with a tour around the beautiful Snæfellsnes. What’s more, the ferry goes straight across Breiðafjörður and offers some unique sightseeing along the way, such as countless strangely shaped islands and cliffs, a rich fauna of seabirds and the largest island, Flatey, which is inhabited all year round. Bíldudalur has some very interesting museums such as The Icelandic sea monster museum (Skrímslasetrið), which is focused on the many sea monsters that have been sighted in the area, such as the Fjörulalli (e. “shore-laddie”) and some truly hideous mermen. Bíldudalur also has a quaint little museum which documents Icelandic music, with an emphasis on the 50s, 60s and 70s, and has many vinyl albums on display. The most interesting museum is located in the nearby Selárdalur, where there is a museum dedicated to the industrious sculptor Samúel Jónsson. Samúel made fantastic Naïve-art structures and sculptures such as a church, a great many paintings and his own peculiar rendering of the Alhambra lion fountain is Spain. The drive to Selárdalur takes around 45 minutes but comes highly recommended. Due to the small population of Bíldudalur there is only a single restaurant in town, a friendly diner that doubles as a grocery store. Try dishes made from regional produce, such as fresh fish and local lamb. 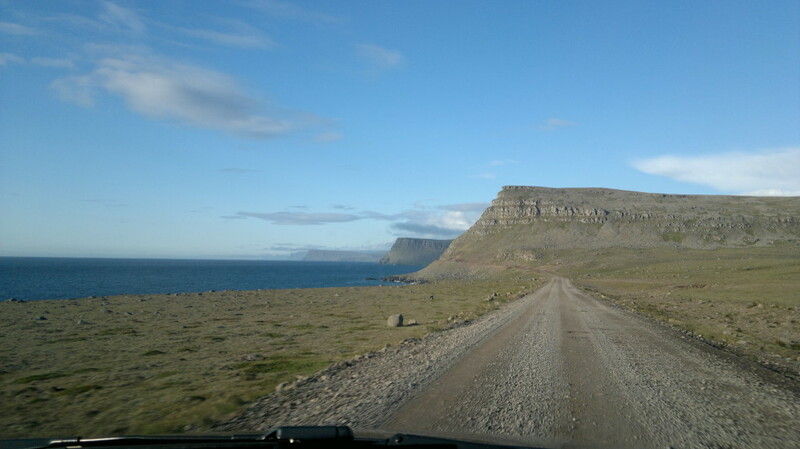 For more restaurant options the neighboring town Tálknafjörður is only 15 minutes away. Bíldudalur has many activities on offer, such as sea-angling and guided tours (one that’s focused on the setting of the before mentioned Gísla saga). 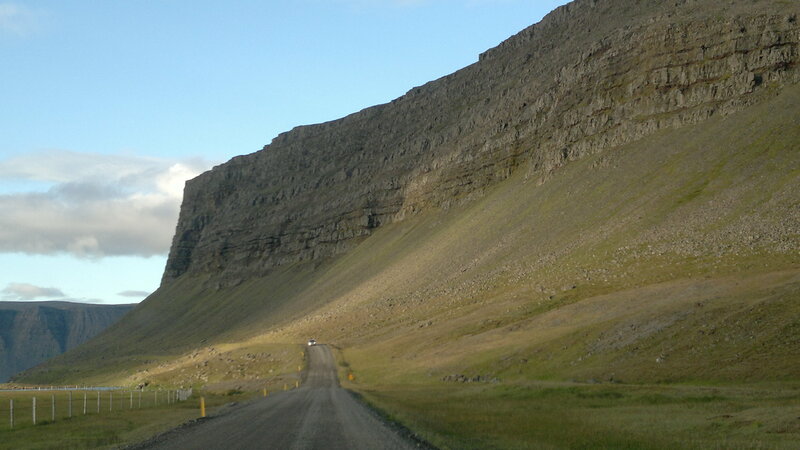 Enjoy the beautiful mountain scenery of the surrounding Arnarfjörður, and have coffee with the locals at the town’s only coffee shop/grocery store/restaurant. 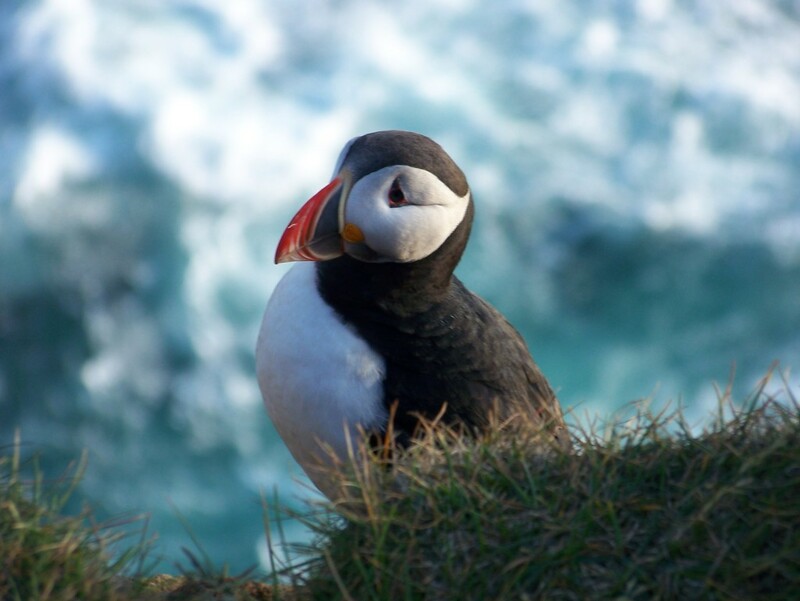 You will find that Bíldudalur offers a genuine insight into life at the edge of the world. The general area is perfect for mini camper exploration since there are different swimming pools and campsites strewn freely across the region. 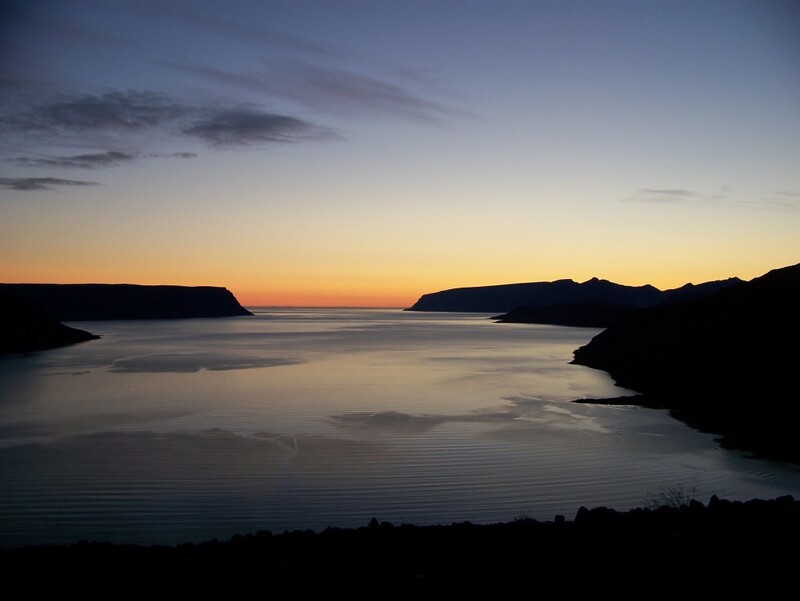 Once you’ve reached Bíldudalur, a wealth of destinations in the Westfjords are suddenly within easy reach (see here: http://www.westfjords.is/). As a trip to the Western fjords requires a fair bit of driving (or a combination of driving and sailing), for best results we recommend that you plan your trip so that you have ample time to make stops, take in the scenery and enjoy what’s on offer. For a simple tool to gauge distances between places, the Vegvísir website is very handy (see here: http://www.vegvisir.is/en/). We would also like to emphasize that this region is pretty close to the Arctic Circle so bring lots of warm clothes and dress in layers, even if it’s supposed to be summer. The locals are also very helpful when it comes to general advice or recommendations. Most importantly, explore, make lots of stops and drive safely.